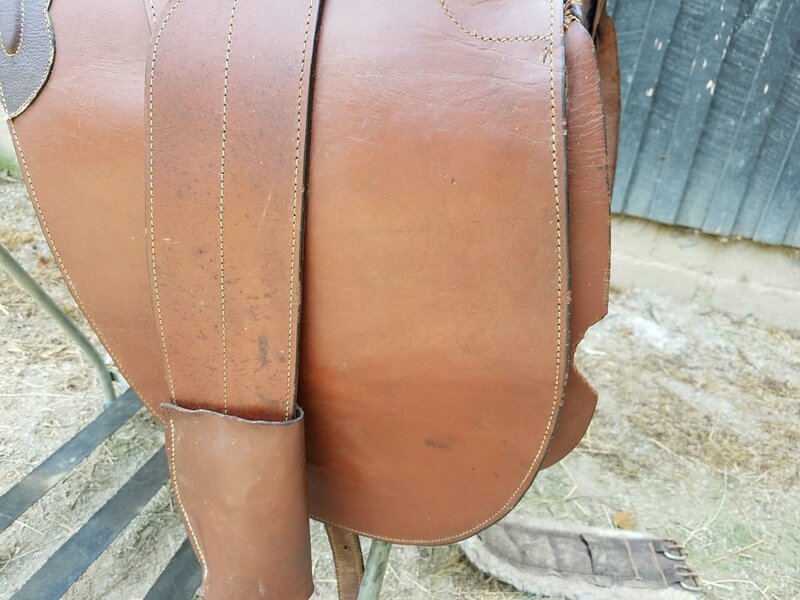 This is a Australian Stock Saddle with a horn. It is a 16 inch seat, good for most riders. The tree is medium and will best fit a medium to high withered horse. The leather is in good shape. It has been in storage for years, not a lot of use on this saddle. If you need a deep seat, you will love the Aussie saddle. The front knee rolls really hold you in. Frisky horses, going down steep grades, no problem, you safe secure in the saddle. It also has the rigging for a back girl for those Man From Snowy River type rides! This is a good starter model. It needs a good cleaning but is ready to hit the trails.